Russia may also see an increased threat of terrorism and drug trafficking spilling over from Afghanistan through Tajikistan. Emomalii Rahmon, who won the presidential election in Tajikistan last Wednesday, may face grave difficulties as soon as next year following the withdrawal of NATO forces from neighbouring Afghanistan scheduled for the end of 2014. Russia may also see an increased threat of terrorism and drug trafficking spilling over from Afghanistan through Tajikistan. US generals suggest the troops should be out of Afghanistan before a so-called ‘fighting season’ sets in, thereby abandoning the country to its fate, the way they had done before in Iraq. Afghanistan’s governmental forces will then risk facing the Taliban one-to-one. As Russian President Vladimir Putin has recently remarked, “the threat of terrorism spillover from one country to another is real”. Afghanistan may become one of the main security problems not only for Tajikistan but also for Russia. The analysis centre at the Moscow State Institute of International Relations of the Russian Foreign Ministry forecasts that once NATO withdraws its troops from Afghanistan, terrorism and drug trafficking in that country will escalate. Moreover, new perilous combinations may emerge. For instance, interaction may intensify among terrorists in Afghanistan’s North, all over Central Asia and even in Russia. One of Russia’s major specialists in fighting drug trafficking, Deputy Chairman of the Federal Drug Control Service in 2003-2008, police Lieutenant-General Alexander Mikhailov, said in an interview to Itar-Tass: “From my own experience I can say Rahmon has hardly played any important role in fighting drug trafficking. 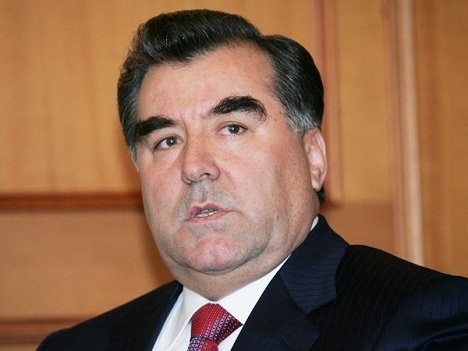 Very little depends on the Tajik president here. Moreover, I am sure that once NATO coalition and American troops leave Afghanistan, drug production in the country will either remain unchanged or will be reducing”. To explain his opinion the expert said: “Throughout their presence in Afghanistan, the Americans did eliminate a drug laboratory once in a while, but generally they preferred to stay aloof and stick to neutrality. The paradox is that drug production in Afghanistan increased exactly when US troops came to that country. Why? The reason is now the Taliban has found a foreign enemy. Whereas before the foreign troops’ arrival they had been actively eliminating poppy crops and had stifled many producers, with NATO's presence in Afghanistan the Taliban was in dire need of money for armed resistance. Renewed heroin production was the sole way to gain cash to buy weapons. When NATO leaves, the Taliban’s need for weapons will dwindle. Accordingly, the interest in drugs will wane as well”. The director of the Institute of the CIS Countries, Konstantin Zatulin, told Itar-Tass “the withdrawal of US troops has brought the Afghan crisis back on the agenda”. “Now Afghanistan will seek protection from the Central Asian Taliban in Russia. It will certainly take a milder attitude towards Russia. Nevertheless, the terrorism threat and the risk of growth in drug trafficking will increase for Russia. The Taliban will be trying to spread its influence over Central Asia, including Tajikistan, so destabilization in the region looms large,” the expert said.